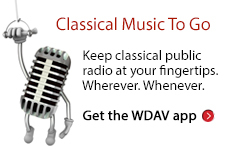 At WDAV, the month of February brings with it two great programming opportunities. Though we play a wide selection of classical music throughout the year, in February we get to highlight certain pieces as we celebrate both Black History Month and Valentine’s Day. It may seem that the calendar coincidence is all that connects these two holidays, but they actually overlap when it comes to classical music, too. Many incredibly romantic pieces have been composed by talented black musicians, and we’ve compiled a list of some of our favorites below. Enjoy! Coleridge-Taylor was a prolific composer whose works included several string quartets, symphonies, sonatas, and songs. 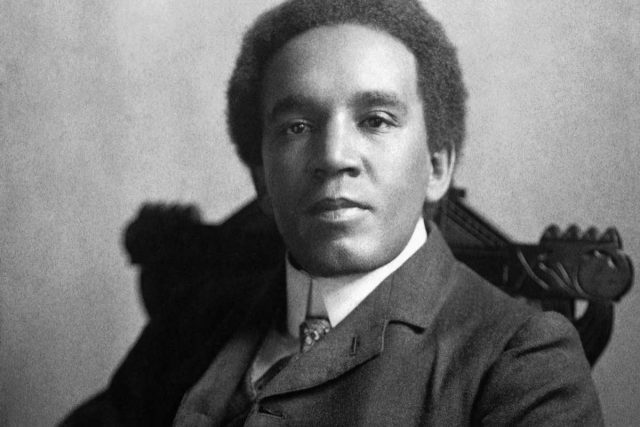 Named after the famous poet, Coleridge-Taylor studied at the Royal College of Music in London and soon gained renown as the “African Mahler.” Here, one of his many romances is performed by the London Philharmonic with Nicholas Braithwaite conducting and Lorraine McAslan on violin. Dett is a Canadian-born composer, musician, and professor who grew to fame in America for his use of African American folk and spiritual music as inspiration for Romantic Era-style classical music. His piano and choral pieces are so noteworthy that a choir in Canada dedicated to the works of black composers bears his name. Here, Denver Oldham performs the opening to Dett’s Magnolia Suite, which premiered around 1912. Adams went from studying music at Oberlin College, California State University, and Ohio State to a successful career as an orchestral composer. His works, mostly notably piano etudes and choral pieces, have been performed by countless symphonies around the world. Here, Darryl Taylor performs his piece The Heart of a Woman, an arrangement of the poem by G.D. Johnson, with Robin Guy on piano.